Pour the cleanest tasting water imaginable! 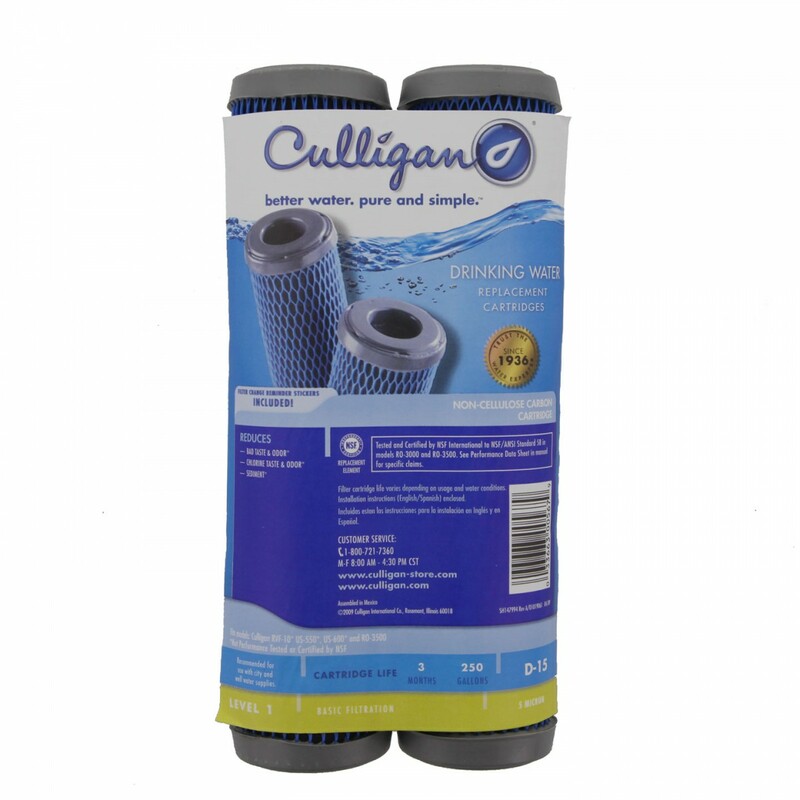 For up to 250 gallons, the Culligan D-14 undersink water filter replacement cartridge will significantly reduce chlorine and sediment, before they have the chance to impact the flavor or quality of your drinking water. 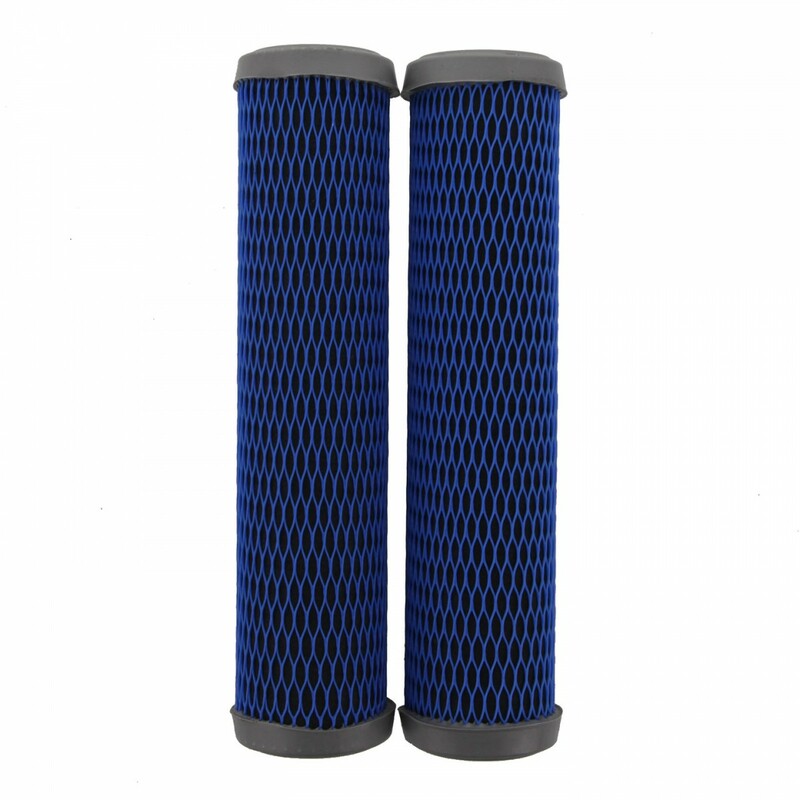 Built to install easily into undersink water filtration systems that use 9-3/4 inch x 2-1/2 inch cartridges. Offered here as a 2-pack. Genuine OE parts. 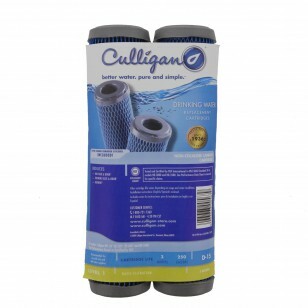 Order these Culligan D-15 undersink water filter replacement cartridges today. Ensures your water tastes great directly from the tap! The CULLIGAN-D-15 does not reduce fluoride.